What lock recommended for replacement? I can't identify the brand for replacement of inside and outside handle with lock mechanism. 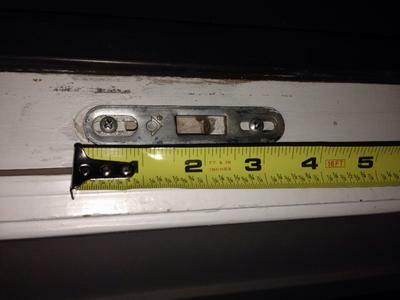 The lock is what I know as a E2468 which is commonly used with wooden patio doors. Its a E2014 lock with a steel escutcheon plate on the front to adapt it to wooden doors. 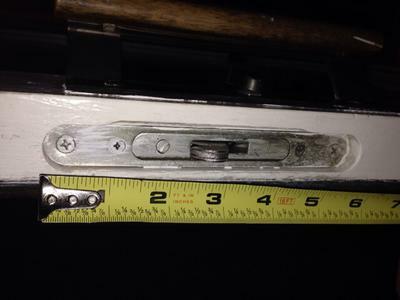 The Handle set looks like it has screws drilled through the door wider than standard 3-15/16" centers. Thats the distance used by most universal style handlesets used at Home Depot and Lowes. You can still use one of those handle sets but you would have to drill 2 new holes right through the door. I have the E2468 locks but no handle set. 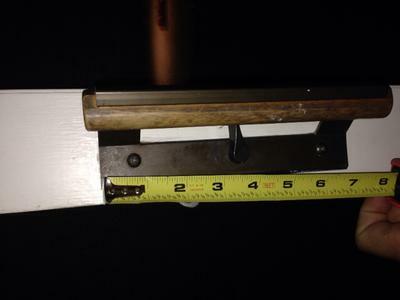 I dont have the latch keeper shown on the jamb but yours looks in good shape and probably does not need to be replaced.